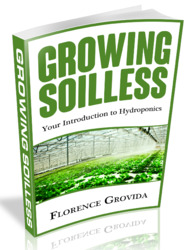 In most hydroponic gardens, soilfree mediums are used primarily for starting seeds and when rooting cuttings. The less medium a system requires, the easier and less expensive it is to operate. 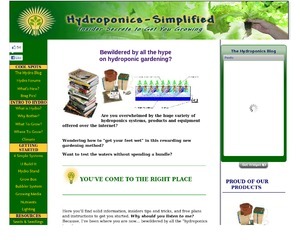 This is a major consideration for those who wish to make a profit from their hydroponic gardens. Modern day soilfree mediums have come a long way since the use of river gravel and sand. A perfect medium is one that is able to hold a nearly equal concentration of air and water. As you have leaned, your plants need both oxygen and nutrients to reach their roots. The determining factor in water/air holding capacity of a medium are the small spaces between each granule or fiber. The name for these "holes" in the medium is "interstitial spaces". Fine sand features very small interstitial spaces which cannot hold much air and water. On the other hand, coarse gravel has large interstitial spaces which can hold lots of both. The next factor we must concern ourselves with is that water has weight and always seeks the lowest ground. In the case of coarse gravel, this means that water will run right through leaving behind only a moist trace. If you constantly recirculate your nutrient solution, this medium would be o.k., however, because of this fact coarse gravel really doesn't make a good medium for systems that do not constantly circulate nutrient solution to the plants.